I was introduced to mushrooms in my early childhood. We used to hop on a bus in the wee hours to go mushroom picking in the forest. It was one of fun activities during late summer – early fall. It was so exciting to walk through the early morning forest in the rubber boots with a basket and search for edible mushrooms under the trees. In the middle of the day our baskets were almost full with colorful mushrooms. We all got together to sit down, rest, admire each other’s crop, drink hot tea from thermos and eat our tasty sandwiches lovingly prepared on the previous night. That’s as far as my interest for mushrooms went. When I started my journey studying foods and their medicinal properties, I rediscovered mushrooms and developed taste for them overtime. Now mushrooms take a well-deserved place in my regular cuisine. What are they? They aren’t vegetables no legumes. These, not so obviously defined plants, are very humble and modest. But as we know G-d often design humble to possess amazing qualities. And mushrooms are no exception. One of the medicinal mushroom leaders is Shiitake. Shiitake mushrooms high in many enzymes and vitamins that are not usually found in plants. Shiitake is effective in treating a long list of ailments including high cholesterol, gallstones, hyperacidity, stomach ulcers, diabetes, vitamin deficiency, anemia, and even the common cold. Shiitake are able to rapidly lower serum cholesterol. Studies with humans have shown that only three ounces of shiitake (5-6 mushrooms) a day can lower cholesterol by twelve percent in a week. There is increasing evidence that the health-promoting compounds found in medicinal and edible fungi, including shiitake, stimulate the immune system. Shiitake stimulate the defense system, spurring the immune fighters that attack cancer cells, bacteria, and viruses. As a food source, Shiitake contains all eight of the essential amino acids in a better ratio than meat, milk, eggs, or soy beans. Not to mention they contain an excellent combination of vitamins and mineral including A, B, B12, C, and D. In addition, Shiitake produces a fat-absorbing compound which is perfect for those wanting to lose weight. It’s no wonder why the shiitake is also known as the “miracle mushroom”. Dried shiitake mushrooms have even stronger medicinal properties than fresh. And they are delicious when cooked! Shiitake mushrooms are great in soups and various vegetable dishes. Here is the recipe of a basic miso soup where along with other ingredients it offers you healing powerhouse dish. Heal, lose weight and Enjoy! The Enoki mushrooms could be found in Whole Foods Market or other health food stores and Asian markets. Enokitake mushrooms have tumour fighting compounds. They suppress further cancer growth and spread. Enokitake has antioxidants that rid the body of free radicals hence boosting the immune system. The Enoki mushroom impacted greatly in test treatments of lymphoma and prostate cancer. The Enokitake mushroom also has anti-viral and anti-bacterial properties. They help to balance the immune system and to keep the liver healthy. The Enoki is able to fight against diseases of degenerative sicknesses such as dementia and Alzheimer’s. It also has anti-inflammatory substances that help lower the risk of heart diseases. 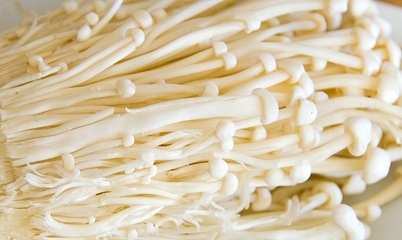 Enoki mushrooms has to be cooked in at least 100 degrees of heat for 20 consecutive minutes. 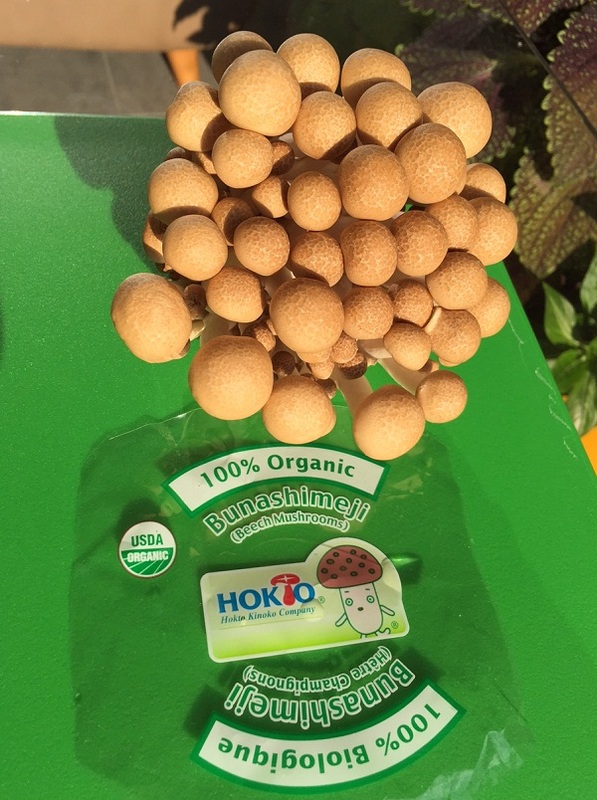 BunaShimeji Mushrooms – another medicinal kind and also very tasty. I usually buy them in Whole Foods Market and make various recipes. They are delicious in soups and go well with other vegetables. Shimeji have tumors fighting properties. Shimeji mushrooms can also help diabetes, asthma and certain allergies by enhancing the immune system and boosting its healing capabilities. Shimeji mushrooms have meaty taste. Their texture is firm. These mushrooms are used in preparation of soups and stir fried dishes. These mushrooms are also ideal for casseroles. It is important to cook these mushrooms before serving them. Raw shimeji mushrooms have a bitter taste. Cooked shimeji mushrooms are flavourful. 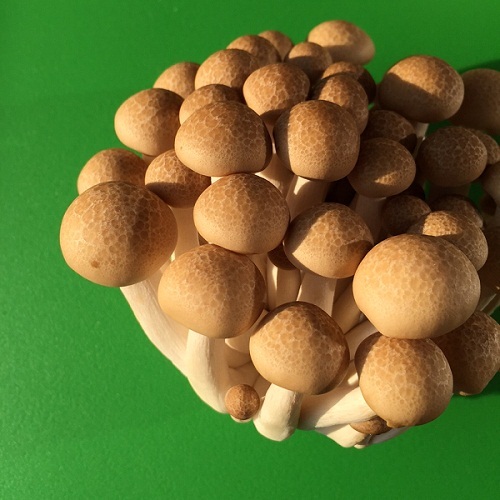 It is best to use Shimeji mushrooms in combination with other vegetables because they are rich in Umami compounds. Umami compounds are known for enhancing the flavour of food. My recent creation – Balanced delicious dish with BunaShimeji and oyster mushrooms, black soy beans, leek, and quinoa – Enjoy! This entry was posted in healthy kosher recipes, healthy simple recipes, kosher dishes, macrobiotic, Mushrooms, plant based diet, vegan, vegetarian and tagged dinner, Enoki mushrooms, fit food, gluten free, glutenfree, healthy lifestyle, homemade, kosher, lunch, macrobiotic, Shiitake, Shiitake mushrooms by Chava. Bookmark the permalink.